By CNN'S NICK VALENCIA, CHRIS BOYETTE, ANA MELGAR, NATALIE GALLÓN, MICHELLE MENDOZA, TAMMY KUPPERMAN, JOE SUTTON AND NICOLE CHAVEZ CONTRIBUTED TO THIS REPORT. (CNN) - Her name was Jakelin Caal Maquin. She had traveled with her father from a rural indigenous community in Guatemala's impoverished Alta Verapaz region. 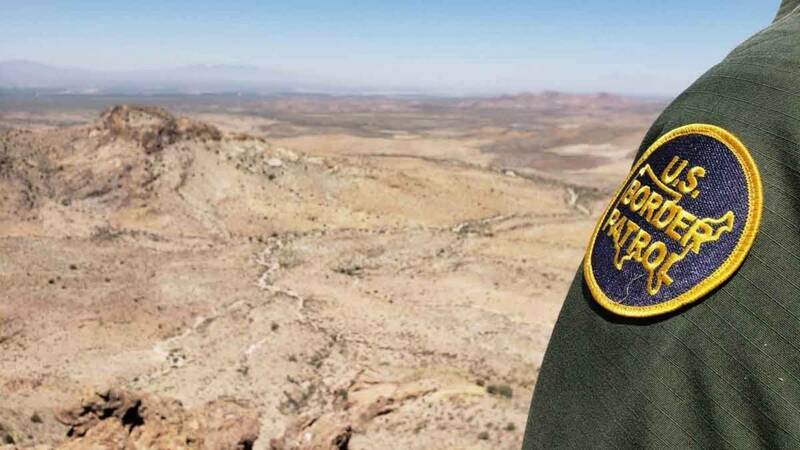 They were among a group of 163 migrants detained by Border Patrol agents the night of December 6 -- three days after her birthday -- in a remote area of the New Mexico desert, officials said. Two days later, 7-year-old Jakelin was dead, Customs and Border Protection's officials said Friday. She had vomited and stopped breathing while in Border Patrol custody. Jakelin later went into cardiac arrest and suffered brain swelling at a Texas hospital. "Without the lifesaving measures undertaken by Border Patrol, this child would have likely died in the desert alone without any medical care whatsoever," a Department of Homeland Security official said Friday. "The entire department is heartbroken by this loss of life." The department's Inspector General's office is investigating the death and said its findings will be released publicly. The US government officials spoke on a conference call with reporters and insisted they not be identified by name. Jakelin and her father, Nery Gilberto Caal, 29, hailed from the Mayan Q'eqchi' community of Raxruhá, said Tekandi Paniagua, Guatemalan general consul in Del Río, Texas. They were part of a group of undocumented immigrants loaded onto a bus at 4:30 a.m. December 7 at a Customs and Border Protection operating base near the Antelope Wells port of entry in New Mexico, the CBP said. The immigrants included about 50 unaccompanied minors. "Our agents are almost always outnumbered in the middle of the night," the CBP official said. "There is no indication that it was a lack of attention that resulted in this. The questions were asked. The observations were made and there was no indication that she had any health conditions." When the bus departed the operating base about 12:20 a..m., the other migrants -- including Jakelin and her father -- were held inside the sally port of the Antelope Wells Port of Entry and given access to food, water and restrooms, according to CBP. The bus later returned for the others. Shortly before its 5 a.m. departure, Jakelin's father told agents his daughter was sick and vomiting, the CBP said. An agent notified the station that the child would need emergency medical care. A Border Patrol EMT "revived the child twice," the agency said. She had a temperature of 105.7 degrees. Local EMTs also provided care before she was transported at 7:45 a.m. by air ambulance to a Texas trauma center. "The reality of that part of the border is there's no faster way to get her to treatment than the one she was on," the CBP official said. "Border Patrol Agents, including trained Emergency Medical Technicians did everything in their power to provide emergency medical assistance for Jakelin Caal Maquin immediately after her father notified the agents of her distress," CBP Commissioner Kevin McAleenan said in a statement. "The agents involved are deeply affected and empathize with the father over the loss of his daughter... We cannot stress enough the dangers posed by traveling long distances, in crowded transportation, or in the natural elements through remote desert areas without food, water and other supplies." CBP said it did not issue a statement about the child's death "out of respect to the family of the deceased." The agency is "currently reviewing its public disclosure and notification policy related to deaths in our custody." On Monday, Paniagua met with Jakelin's father, who he said was devastated and was allowed by US authorities to see his daughter one last time. US Rep. Joaquin Castro, D-Texas, said late Thursday in a statement he was "devastated by reports that a seven-year-old girl who was taken into Customs and Border Patrol custody died of dehydration and exhaustion. I'll be asking for a full investigation by the Inspector General and Congress into the conditions and circumstances that led to her death." "This is a humanitarian crisis and we have a moral obligation to ensure these vulnerable families can safely seek asylum, which is legal under immigration and international law at our borders." Jakelin's death is "just a very sad example of the dangers of this journey," Homeland Security Secretary Kirstjen Nielsen said. "They were about 90 miles away from where we could process them," she said on the Fox News show "Fox and Friends" on Friday. "They came in such a large crowd, it took our border patrol folks a couple times to get them all. We gave immediate care, we'll continue to look into the situation, but again I cannot stress how dangerous this journey is when migrants choose to come here illegally." In a statement, Cynthia Pompa, advocacy manager for the ACLU Border Rights Center, called for "a rigorous investigation into how this tragedy happened and serious reforms to prevent future deaths." US Rep. Beto O'Rourke, another Texas Democrat, called for transparency in the investigation of the child's death. "I am deeply saddened by this girl's death. There must be a complete investigation and the results shared with Congress and the public," he said Thursday on Twitter. The girl's death comes months after a toddler died six weeks after being released from an Immigrations and Customs Enforcement facility in Dilley, Texas. The toddler's mother and her attorneys alleged she contracted a respiratory infection after they arrived at the detention center and that ICE provided substandard medical care for the 19-month-old.